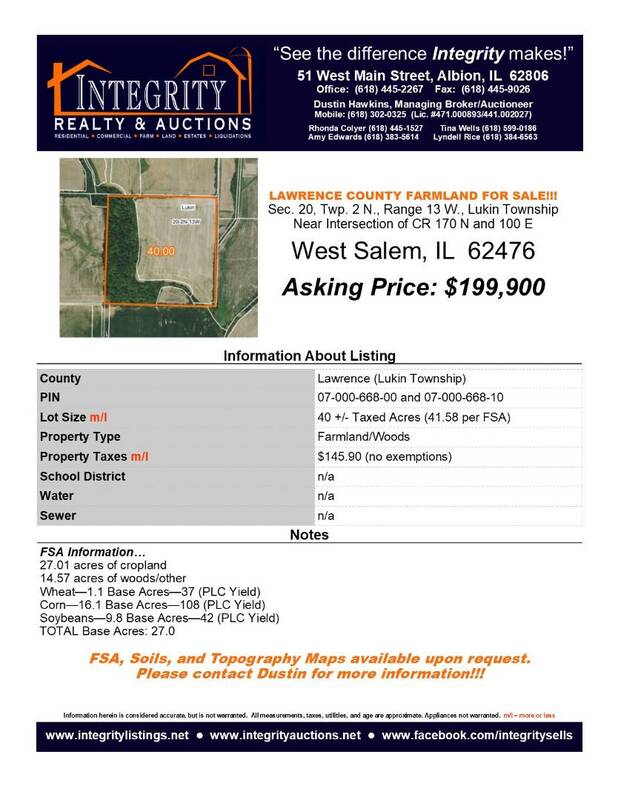 I am interested in #10507380 at County Road 170 North and 100 East, West Salem, IL. 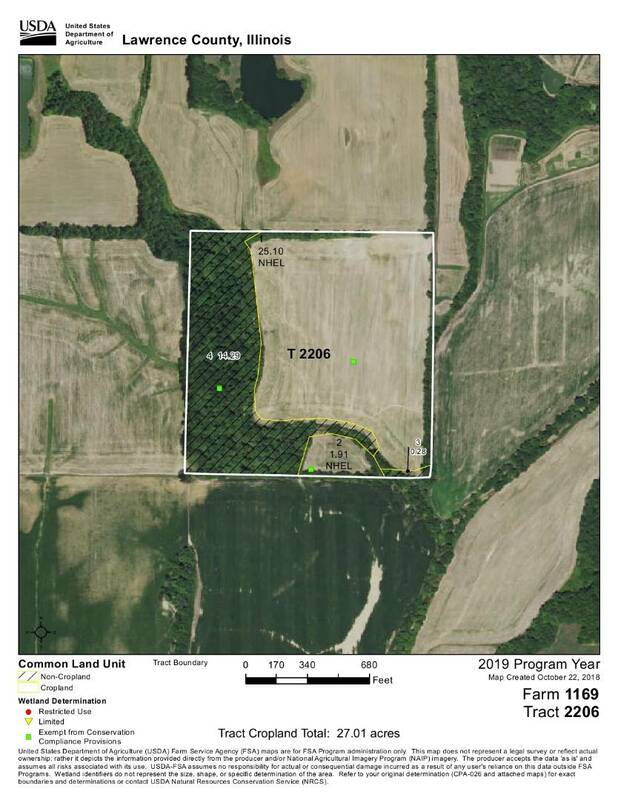 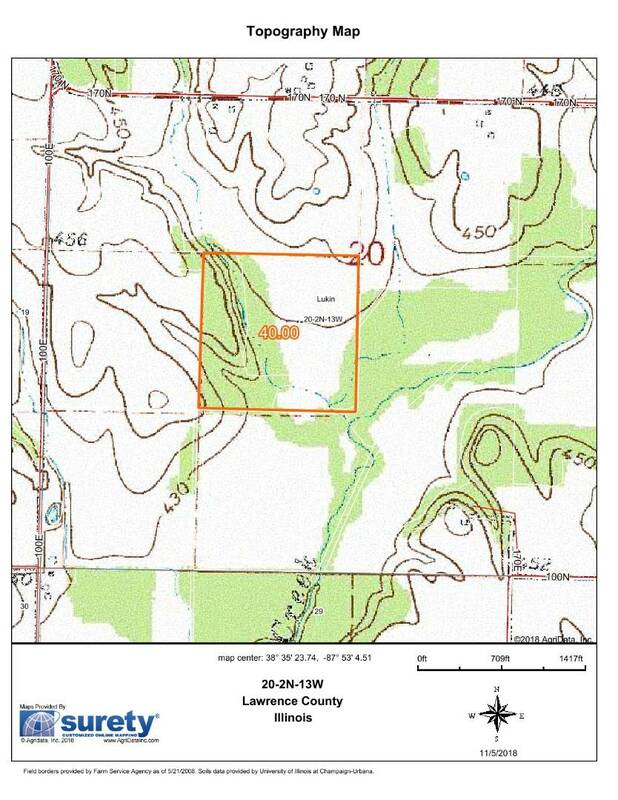 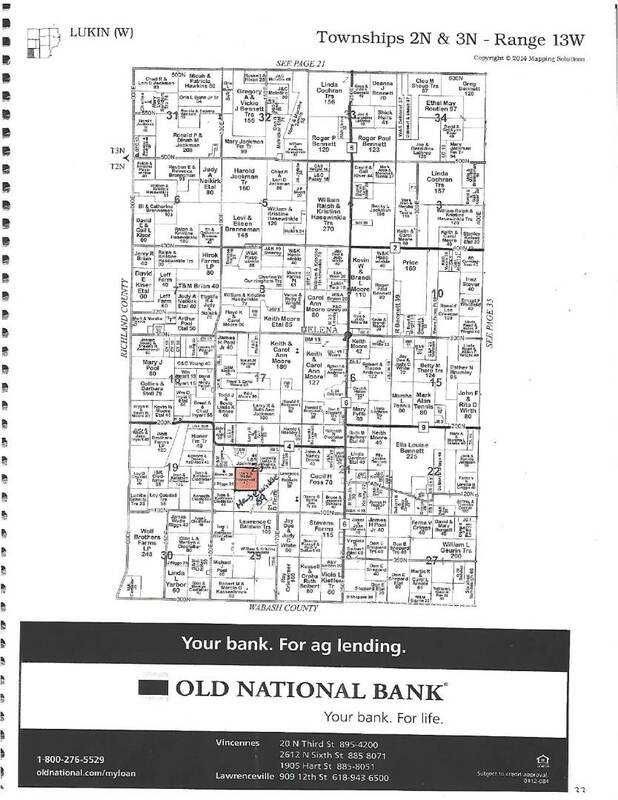 Near CR 170 N and 100 E, West Salem (Lukin Twp., Lawrence Co.) This tract of farmland boasts 40 +/- taxed acres with approximately 27.01 acres of cropland and 14.57 acres of woods, per the FSA. 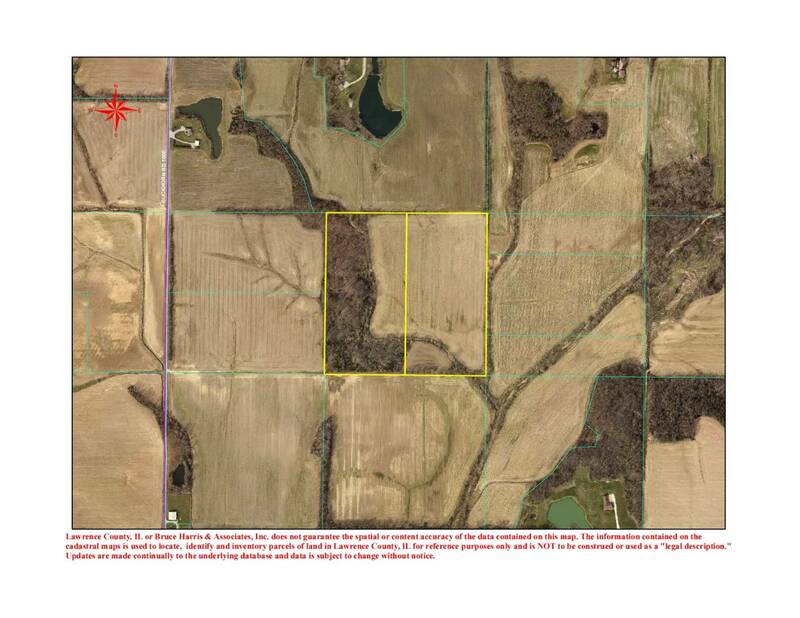 Situated near the intersection of County Roads 170 North and 100 East in Lawrence County, this little farm is big on potential, with hunting and recreation to boot. 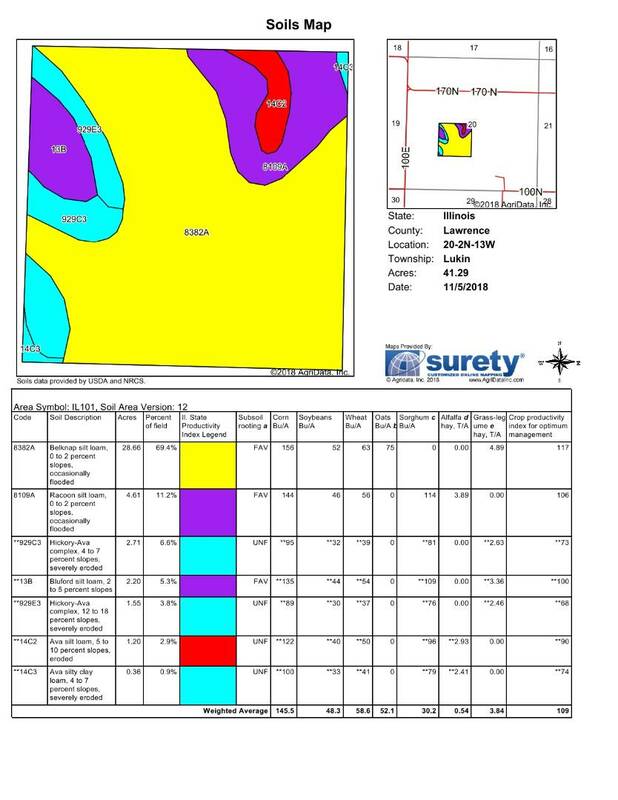 Contact Dustin for soils, topography, and FSA maps! 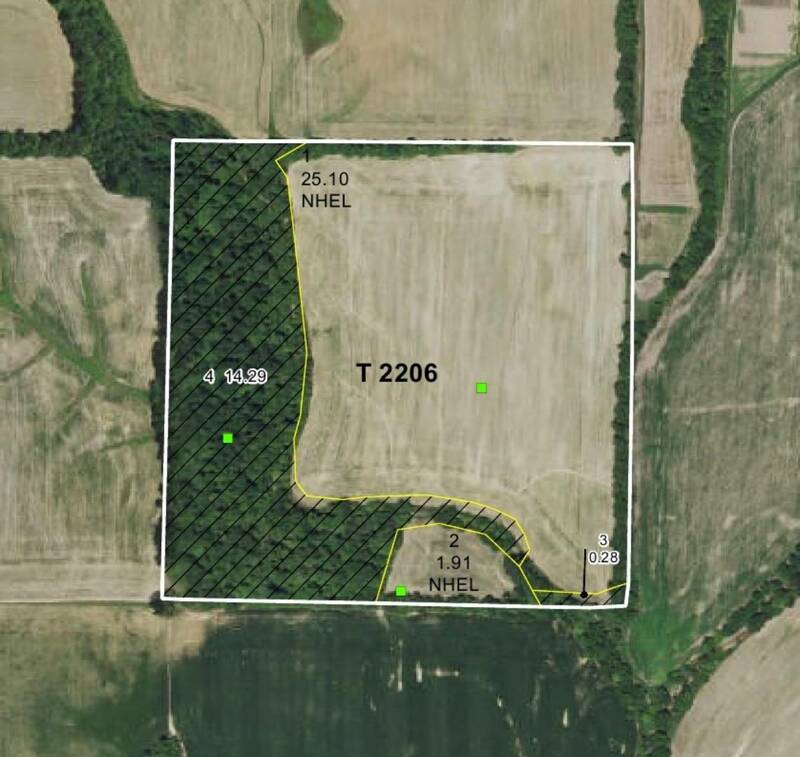 I would like more information regarding the My State MLS Listing #10507380 at County Road 170 North and 100 East, West Salem, IL.